Anyone with an internet connection can now follow the construction of the New Arena frame by frame; WTorre launched the hotsite several weeks ago but the live transmission wasn’t plugged in until today. Only one camera is active (two more will follow) but it pans, zooms and track highlights at the construction site. 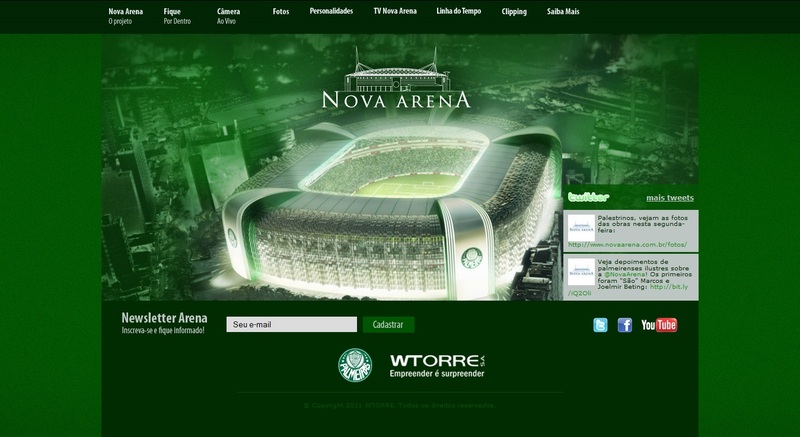 Make sure to include the hotsite – www.novaarena.com.br – among your favourites bookmarks! Nice work, WTorre! 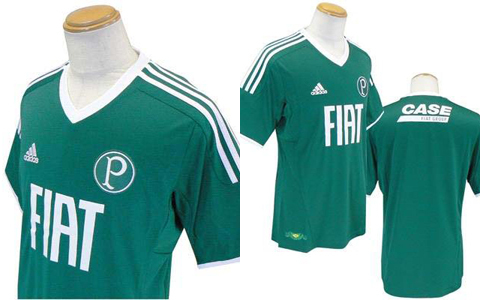 Tomorrow (Tuesday) Palmeiras and Adidas present the new jerseys for the season. Pictures were leaked already in April and Adidas has confirmed that what you see to your left are indeed what will be presented tomorrow. The invitation sent out to the press claims that the jersey has “super powers never before seen” and encourages the journalists to “come and learn the secret”. Seriously? On a indeed very personal note: I’m far from thrilled with the new jersey. The retro style is beautiful, but should not be used as the front page of our team, especially since it’s been way too long since Palmeiras last won a national competition. The way is forward, not looking back. Yes, i know Palmeiras drew 1-1 with Cruzeiro this weekend; the coming post will deal with that. As alway, stay tuned!